The beautifully adorned Pineapple Cake is in round shape and stuffed with multi layers of crème and mild vanilla sponge. The cake is a delightful mix of juicy pineapple bits, cherries, cream and chocolates. 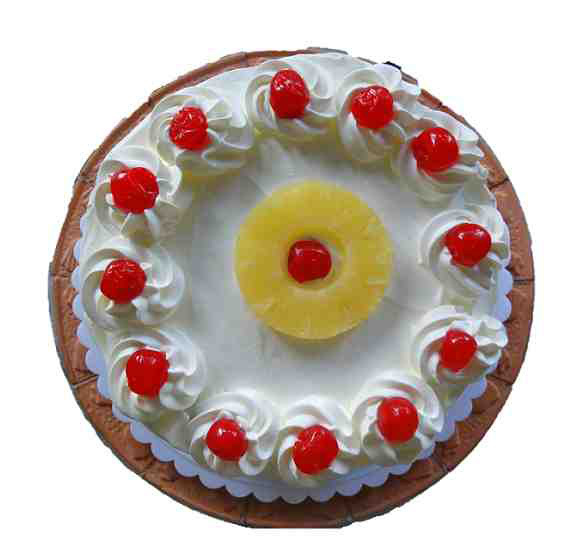 To make it ideal for the celebrations it is embellished with pineapple, cream flowers with cherries on the top. Add the flavors of sweetness in your life with this cake.